in just about every form you could want! 1. 100% dedicated to innovative and proven best-practices. We just don’t provide technology. We provide knowledge transfer services that help companies go beyond mere measurement to move-the-needle via the optimal improvement actions. Proven best-practices must lead technology. Technology is used to help customer experience programs scale through automation. Putting technology before effective program design leads to flat scores and being misled by averages: are each of your important customers staying with you longer and buying more than they did last year? Is your company’s rate of profitable growth accelerating? Is your sales team closing more deals faster through accelerated references, expansion opportunities, and referrals? Not only do we understand technology as demonstrated by this award, but our consulting team members have over 15-years of software and automation background prior to consulting for Waypoint. We doggedly stay abreast of technology vendor-capabilities to help our clients select the ideal software providers. While TopBox is uniquely designed to fit the needs of B2B SMB companies seeking to measure and strengthen customer relationships, we maintain partnerships and strong relationships with other industry leaders to ensure the right solutions defined and implemented correctly. B2B has a significantly different purchase model. While the consumer world is generally marked by a single decision maker, companies generally make purchases through a network of influencers, with more people involved in the buying decisions and with different agendas to understand. Are you getting feedback from the right people and truly know the health of each account? While “Customer Success” in the consumer world is often nothing more than a product purchase, it is a longer and more complex equation in B2B. “Success” is marked by significant complexity in process, people, and systems that all interact to create the Customer Experience. How do your customers measure your success? B2B is often really B2B2B. Most B2B companies utilize channel partners. This presents much more complexity around the core question: Who is the customer? Your B2B program must recognize the importance of both the end-customer and also the channel partners that influence purchase decisions as a critical ingredient to deliver an experience that meets or exceeds customer expectations. In short, we grow our business by helping our clients improve, and then gain the word-of-mouth benefits. We’ll never “lock in” clients with proprietary tools and technologies that force clients to stay. Entering our 9th year as a company, we’ve not only demonstrated our “staying power,” but also our commitment to our principles and business model. We’re fortunate that we aren’t bound by legacy practices that haven’t kept up with the times. 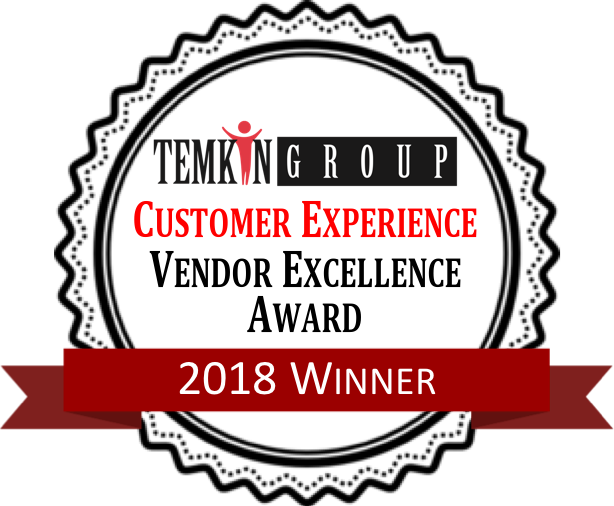 Special thanks for the recognition and continuing to make the CXPA effective go to Bruce Temkin (Managing Partner of Temkin Group), Mike Beaser (Vice President, Digital Customer Engagement at Fidelity Investments), Karyn Furstman (past Chair of the Customer Experience Professionals Association), Carolyn Muise (led the Voice of the Customer Analytics and Intelligence platform for Dell and EMC), and Jen Rodstrom (CX Transformist for Temkin Group). Of course, many thanks as well to the team at Waypoint Group for helping our clients accelerate their success. Subscribe for customer success resources and more. © Waypoint Research Group, LLC. All Rights Reserved.